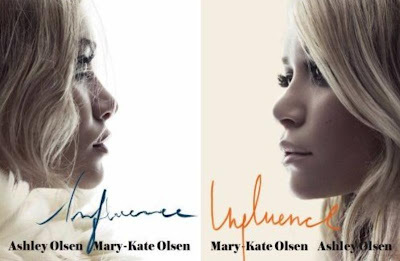 Wait, There Really are 2 Olsen’s? Stop the f’n press. There really are 2 Olsen’s? I always assumed it was like the Michael/Janet Jackson thing. I guess I just assumed there was 1 Olsen who played the role of 2. Hmm. Interesting. Anyway, the above photo is from the Olsen Sluts new book called, Influence, which will be available to buy on October 28th. Clearly, this makes a great Halloween gift. This book will take a look at private Olsen moments from their collection, as well as people who have influenced them, and what has shaped them into what they are today. I’d say what shaped them into what they are today would be 2 things. 1. Money 2. Kimmy Gibbler. Someone, for the love of God bring back Kimmy Gibbler. Let’s think about it for a second. DJ Tanner has been making her rounds lately. Stephanie Tanner just had her baby and will be in a new movie. Aunt Becky is going to be on the new 90210. Uncle Jesse has had about 15 failing TV shows. Danny Tanner did that penguin movie. Uncle Joey was on Surreal Life. Everyone has been doing something. Why not Kimmy? I’m going to start a movement to bring back Kimmy. I mean, if it requires me to get off my couch I’m not going to do it, but if I can do it from my couch I’m all in. Oh yeah go buy the Olsen Sluts book on October 28th….and then record yourself reading it and then send me that tape because I can’t read, but I can listen.